The trend for miniaturisation does not seem to extend into modelling. I have a soft spot for the larger model - the large the better at times - so you won't find too many teeny tiny kits in my modelling room. New houses are similarly miniaturised, but ours was built in the 1800's and so the room I use to work in is spacious and high-ceilinged. 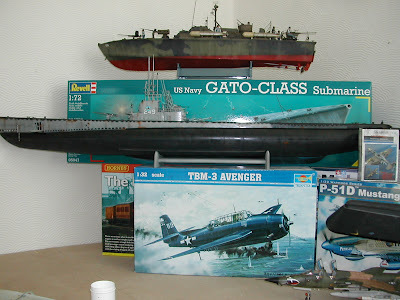 This gives me room to stack kits as high as I can reach - useful when two of them are a 2'6" PT boat and a 4' Gato sub, and I'm just about to add a 2'6" destroyer! It's all very well manufacturers tempting us with these bigger kits, but where are people to display them? I've just seen the test shots for Trumpeter's new 1/32 scale Swordfish. It's beautiful, but very large and quite delicate. In a 'modern' semi, the only spare space might be in the loft. 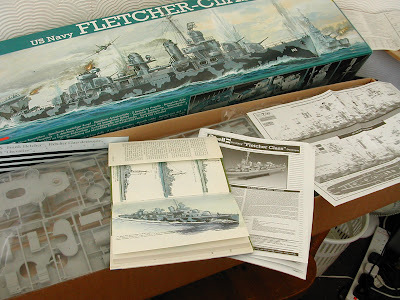 Where do you display your large scale models?